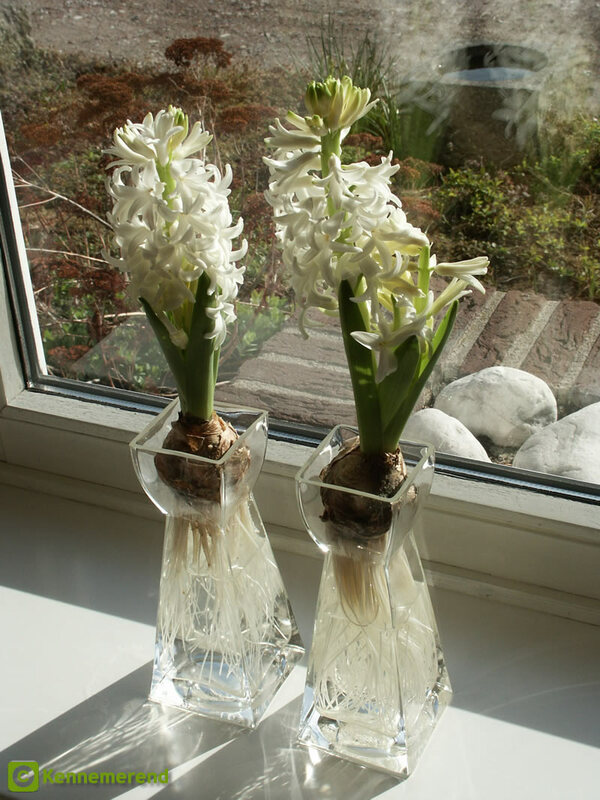 Bulbs can equally well be forced indoors on pots with soil, but the forcing on glass vases was always the popular way of forcing bulbs indoors. Pottery vases were produced to force bulbs on water as well, but they were never as popular as glass vases. The main reason to force bulbs on glass was that, apart from seeing the developing plant, one could watch the rooting of the bulbs in the water. In belly-shaped reservoirs this rooting is even more interesting. The roots look bigger as the belly works like a magnifying glass! Parents thought it important for their children to be able to watch this process. For the same reason schools organised projects for forcing hyacinths on water. That is why so many vases were made of clear or light-coloured glass. Although - good for the collectors - many vases were also made in various deeper colors. Glass vases were also often etched, carved, engraved or decorated with artistic designs in enamel paint or made of opaline (opalescent) glass. In such very beautiful vases the developing roots were not always very easily, or not at all, visible. 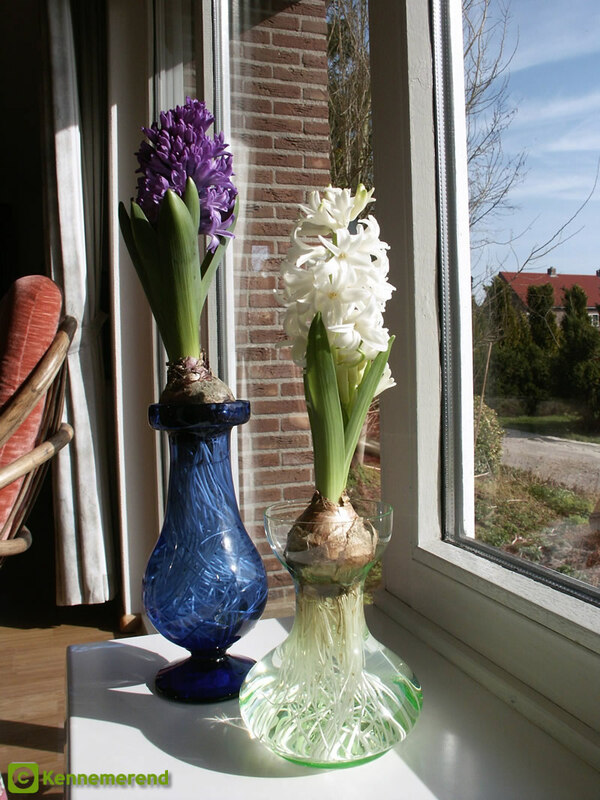 In the last five decades, indoor forcing of flower bulbs on glass vases has declined. People rather began to buy bulbs ready to force on pots. And yet some enthusiastic indoor gardeners are again taking up the old tradition. It is simply more fun to do it all by yourself and watch the process of rooting, growing and flowering. Forcing hyacinths at home is fun and nice for children to watch the process of rooting and growing into flowers. Left: a French footed and a Leerdam hyacinth vase. Right: two modern square vases.